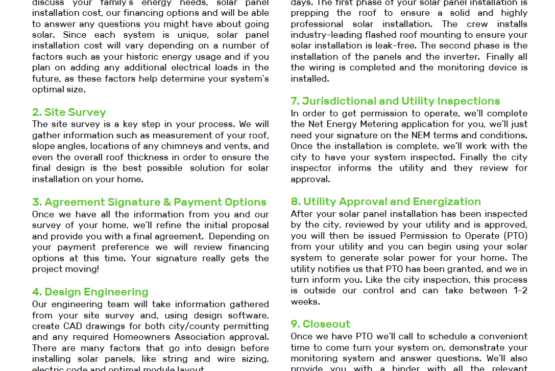 Here you can find a variety of documents that will provide you with more information about Homegrown Energy Solutions, services we offer, products we use and general information about solar energy. If you're interested in more information about Homegrown Energy Solutions LLC and how we can save you money, check out the documents below! WE ARE PROUD OF OUR WARRANTY. 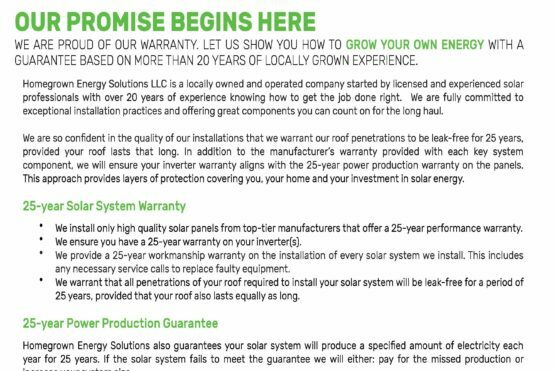 LET US SHOW YOU HOW TO GROW YOUR OWN ENERGY WITH A GUARANTEE BASED ON MORE THAN 20 YEARS OF LOCALLY GROWN EXPERIENCE. WE MAKE IT EASY TO GROW YOUR OWN ENERGY. HERE IS EVERYTHING YOU NEED TO KNOW FROM OUR FIRST MEETING TO TURNING YOUR SYSTEM ON. 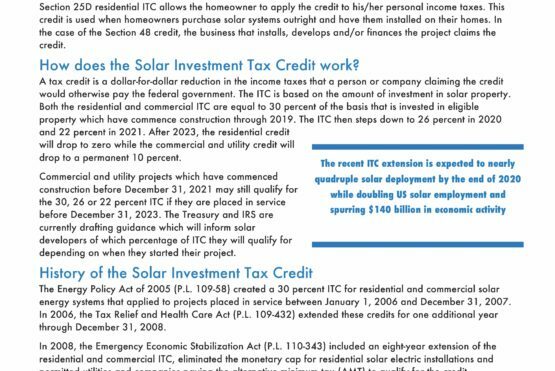 FIND OUT THE FACTS ABOUT THE SOLAR INVESTMENT TAX CREDIT (ITC) AND HOW IT CAN WORK FOR YOU.